At times, learning of a conclusive diagnosis for debilitating symptoms can be a relief. Finally, there’s a specific reason for the condition, and you can begin the plan to treat it! This is certainly the case for COPD (chronic obstructive pulmonary disease). If your senior loved one has been fighting symptoms like chronic coughing, wheezing, and fatigue, a diagnosis of COPD could be essential in improving her quality of life. 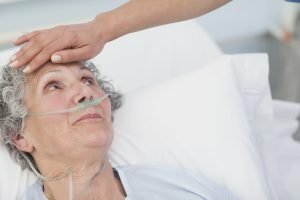 Regardless of what the doctor recommends to help your senior loved one best manage COPD, Heaven at Home Senior Care in Denton, TX, can help with professional in-home care to enhance quality of life. Whether the senior needs assistance with personal care needs like bathing and dressing, help with housecleaning, meals, transportation and running errands, or just a kind, caring friend to talk with and enjoy favorite activities together, our trained and experienced caregivers are here for you. Contact us at 866.381.0500 to learn more or contact us online.